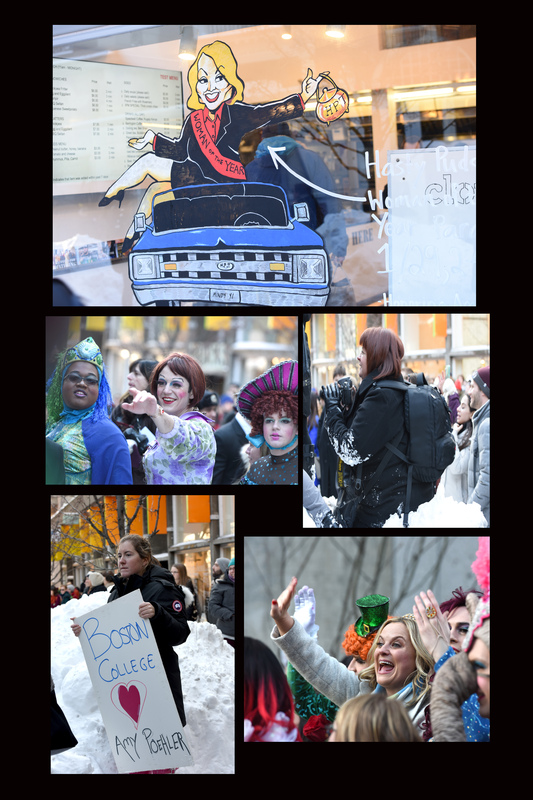 The snow piles from Blizzard 2015 did not deter us from photographing Amy Poehler as she paraded through Harvard Square last Thursday, receiving her Hasty Pudding Pot Award. As we so often encourage our photo students to get out and shoot events, we felt the need to heed our own advice. After a regularly scheduled school day, teachers often just want to retreat home and relax. As I watched Mrs. Rogers hurdle over and step into 5-foot high snowbanks to capture a shot, I knew we made the right choice to photograph this event! The actual parade lasted only minutes, but the sights and people on the street reveal images telling the true story. It was exciting to be around young adults so energized, cheering on someone who once roamed the halls of MSMS and Burlington High, who now walks the red carpet. Congratulations to Amy on being the 2015 Hasty Pudding Pot recipient!